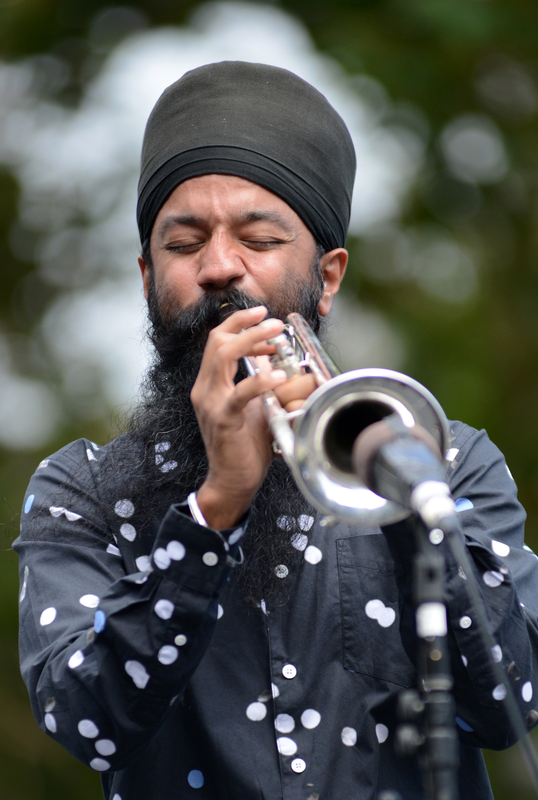 Sonny Singh, trumpet player of the band Red Baraat, rips a solo during a performance at the Yerba Buena Gardens Festival in San Francisco, Ca. on Saturday, August 27, 2016. Attendees of the free festival at Yerba Buena Gardens were treated to the high energy sounds of the rock and roll, funk, jazz, Punjabi, soulful eight-piece Bhangra band from Brooklyn, Ny. Photo by David Andrews.